It’s not that checking emails, posting on Facebook, sending tweets, watching the news, and scheduling yet another meeting don’t have their place, they do. 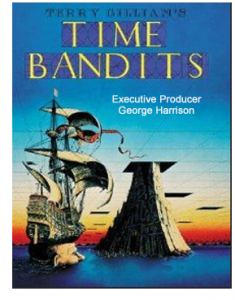 However they’re all “Time Bandits.” It’s so easy to swap what really matters for the petty things that just keep us entertained and distracted. I think that managing your precious time, making intelligent choices, and relentlessly chipping away at the things that matter most is the only way to inch closer and closer to attaining your greatest desires.